All our five fingers have different meanings and purposes. 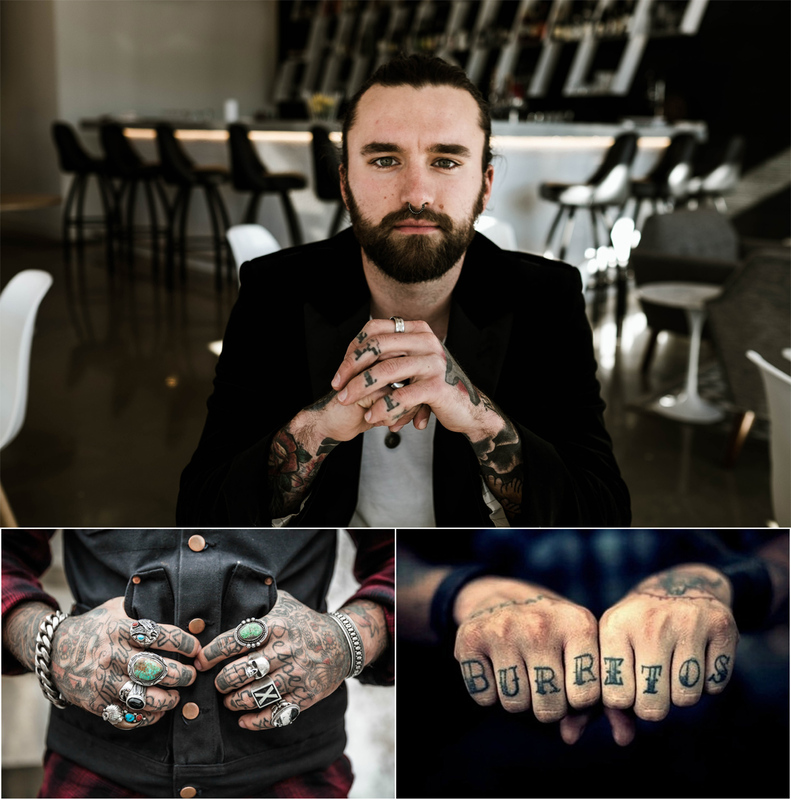 There are varieties of tattoo designs that can be carved on the fingers. 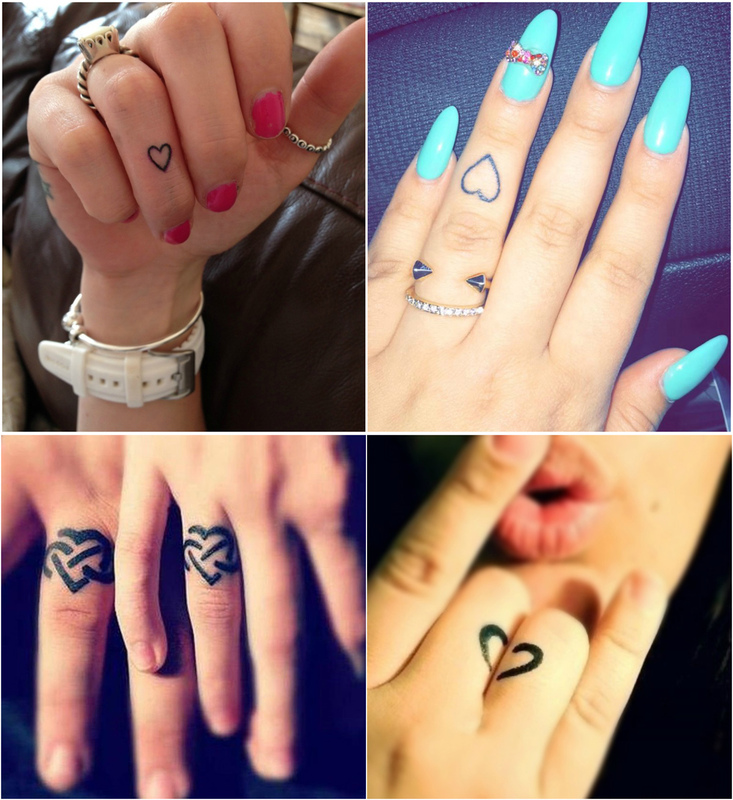 A finger tattoo looks amazingly cute and truly enhances the beauty of your fingers. Fingers can be easily seen by everyone and if you want to go for your first tattoo, then finger is definitely the best option .Whether you go for a meaningful symbol or a significant initial,everything look so beautiful and a delicate and subtle tattoo design on your finger can be just for you. Find out some of the unique and most beautiful tattoo designs that can inspire your next body art. This tattoo design is adorable and it is one of the best options for the couples to go for. Heart on the middle finger is linked to the feeling of love. The bottom part of the heart can have some classy diamond shapes to show elegance and uniqueness in the tattoo design. These finger tattoo designs are not very intricate and are created without any complexity. 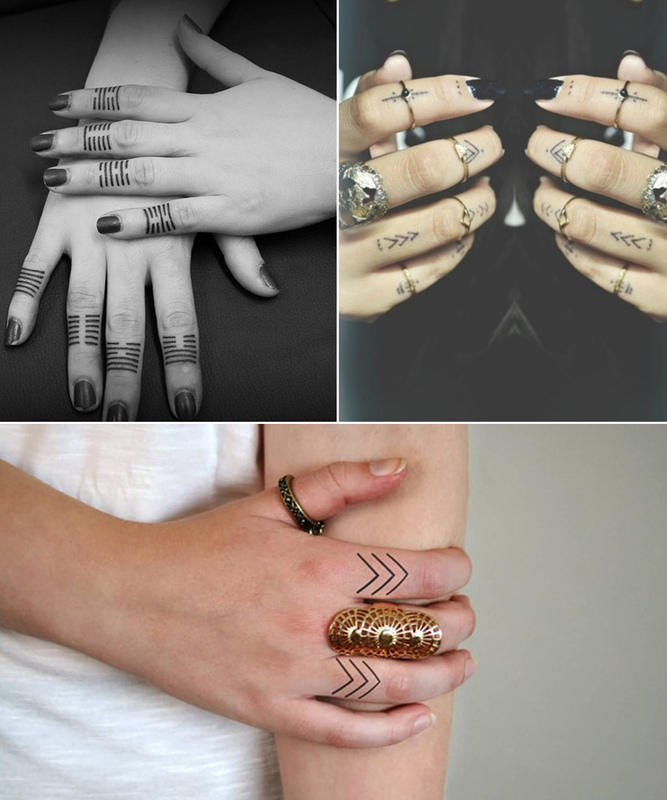 Even the combination of shapes and patterns look good as finger tattoos. Simple lines can create amazing effect but the only thing that matters is their placement in the right way. One can choose some of the words or alphabets like one’s own name or initials and this design can be combined with some patterns or objects to make it look more attractive. 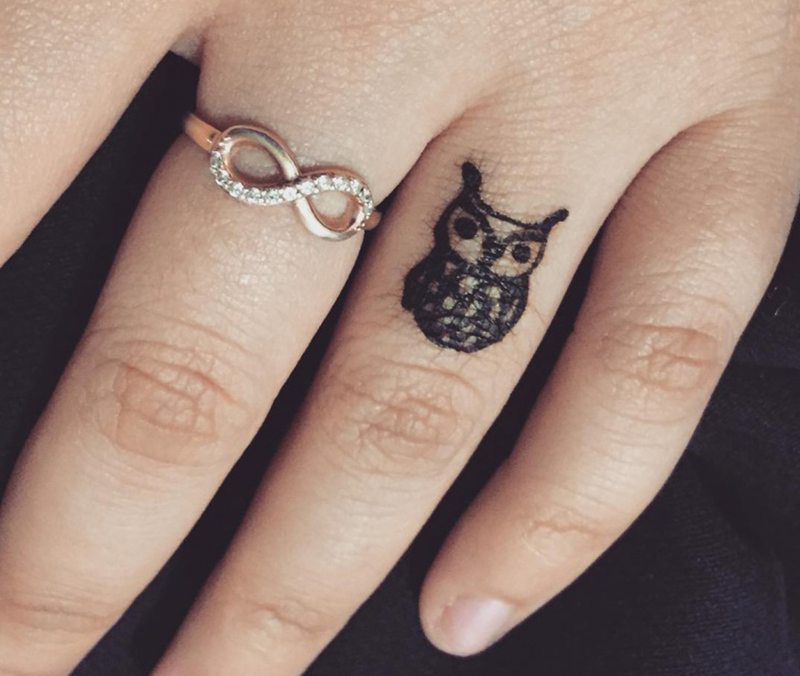 An owl with over sized yellow eyes can be inked on the ring finger and a glimmer of light on the top right corner of the owl’s eyes will create a sense of complexity and mystery in the design. Fingers are the most visible part of the body and people would love to notice any subtle change that has happened on the tiny place. The minimalist design that you opt for should have lots of meaning in it.Pin it and your ink would make a louder statement without uttering a single word.